There are certain stitches that work well when you want both sides of the work to look pretty much the same. These stitches are good for scarves, shawls baby blankets and throws. One of these stitches is called the MOSS STITCH. It's a pretty stitch and easy to do. Of course, you can use the stitch for sweaters or anything you want. 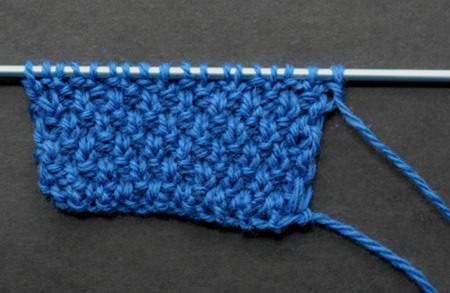 Here's how you knit the MOSS STITCH. The pattern consists of 4 rows and works on an even number of stitches. Row 1 Knit 1, Purl 1 across the row. Row 3 Purl 1, Knit 1 across the row. Repeat these 4 rows for the MOSS STITCH pattern.